I’ve been using the Kenwood TS-990 HF transceiver for almost a year. I’ve loved every minute of learning about the features of Kenwood’s great new flagship radio. In addition to having a superb receiver, this rig has the ability to produce some of the best sounding “Kenwood audio” available on any HF rig without using any outboard processor. However, as with any feature rich HF radio, there is a learning curve, and it takes a while to arrive at the best transmit audio settings for the operator’s voice and microphone. After quite a bit of experimenting with my Electro Voice RE-27 interfaced to the TS-990 (and after quite a few local hams giving me advice about the settings), I came to the conclusion that I had arrived at the best set up. There’s not just one setting to be concerned about, but after adjusting them all I arrived at the best settings for everyday use of the radio. I use different settings when working DX in noisy conditions, but the settings I am about to describe are what I use for “normal operations”. As I stated above, and as I also mentioned when I described my settings for my old FT-2000, these settings work for me, but your mileage may vary. Also keep in mind that you can only get so far listening to your own transmitted audio through headphones, so I would encourage everyone to get a few helpful hams on the air with you to give you advice as you experiment. First things first. I always start with the Mic Gain control and make sure my transmitted audio stays within the ALC zone on the meter. On the TS-990, you will need to set your meter to show your ALC when you transmit. You will find your meter selection on the right hand column of your main screen. It is the second soft button from the bottom. I like my ALC to be right at the top edge on peaks. I was able to achieve this with the Mic Gain control set at the center (50% or 12 o’clock). 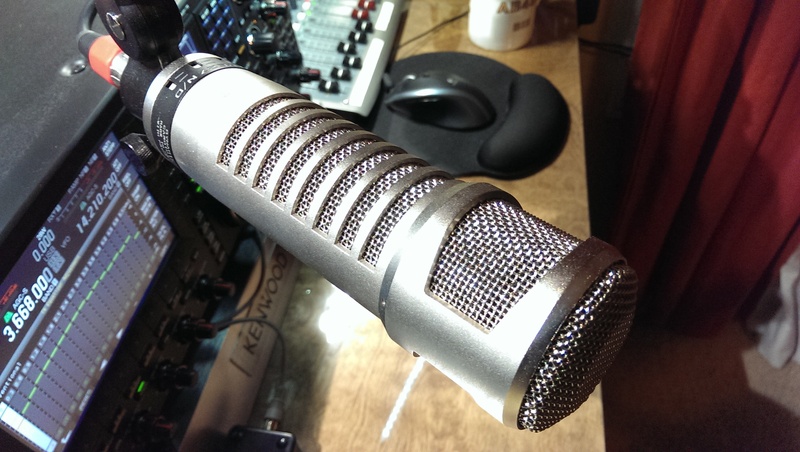 The Mic Gain control is the center control of the far left knob on the bottom row. I also have the speech processor activated and set at 60%. The speech processor control is directly below the F3 key, with the adjustment knob below and to the left. After getting the Mic Gain set, I moved on to the Transmit Filter settings. Next to adjusting your Mic Gain, I believe that your transmitted bandwidth is the most important setting to achieving good sounding audio. The sky’s the limit here, but I was looking for good conversational audio – not too high and not too low. On the TS-990, you will select your bandwidth adjustment screen by pressing and holding the “TX-FIL” soft button, located at the bottom of the right hand column of soft keys. After a bit of tinkering, I settled on a low cut setting of 200 and a high cut setting of 2800. The TS-990 has three programmable transmit filters, so I would encourage you to set up one for everyday use, one for DX and one just to play with. Now, this is where the REAL fun began with the TS-990. Not only does this radio have an internal graphic equalizer for transmit and receive, it has 18 bands of adjustment ranging from .3 kHz to 5.1 kHz. This provides the user the opportunity to really tailor how their transmit audio sounds. It also presents the opportunity to make things sound very bad! The good news is that Kenwood has provided six pre-programmed equalizer settings, along with three user definable selections. I would encourage you to experiment with these settings until you find one you like; however, I found that after much tweaking and adjusting, the pre-set that Kenwood has labeled “Conventional” worked best for me. I use “High Boost 1” for DX and some nets. Again, your mileage may vary, so use the User 1 through 3 pre-sets to create your own settings. 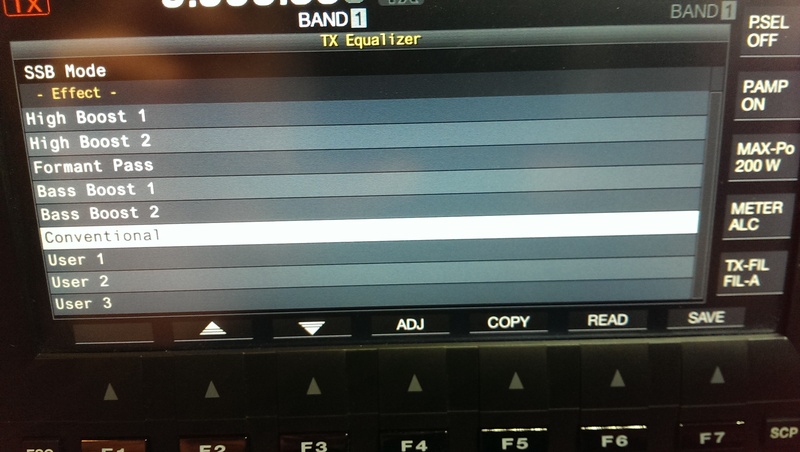 To activate your transmit equalizer, press the “TX EQ/SEL” button. In the center right of the main screen you will see a box labeled “TXEQ” with an arrow pointing to your selection. If “Conventional” is selected, your will see a “C” displayed there. If the EQ is out of line you will see “OFF” after the arrow. Press and hold the “TX EQ/SEL” button and a list of available pre-sets will be displayed. Use the arrow keys to select the present you want. If you want to adjust any of the selections, move the arrow keys until your selection is highlighted, and then press the “ADJ” soft key (F4). You can then adjust each of the 18 bands with the sliders. By the way, another cool feature of the TS-990 is the built in Audio Scope. You can use this to view the characteristics of received audio, but it will also show you your transmitted audio characteristics as well. With the bandscope active (“SCP” key) , press RF/AF (F2) to display the audio scope. So, there you have it. After completing these settings, everyone I have spoken with has given my great audio reports. I see no need to use any outboard audio equipment with this radio, and believe that with the broad customization that it provides, most users will be able to find a setting or settings that fits all of their operating needs. 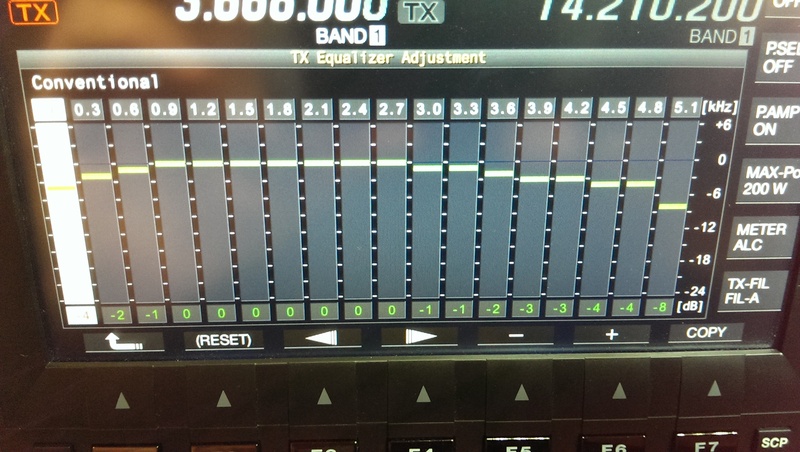 The 18 Band Equalizer for Transmit is set to the “Conventional” pre-set. Have fun playing with the transmit audio settings on your Kenwood TS-990! This entry was posted in Uncategorized and tagged Audio Settings, TS-990. Bookmark the permalink. Great setup and demo for rag chewing.Now how about your DX settings for us DXers. Thanks, George. For DX, all I do is change the 18 band EQ from “convential” to “HB 1”. That seems to provide the extra punch I need to work the DX stations. For a little extra, I have from time to time adjusted the transmit bandwidth to be a bit narrower by increasing the low cut to 250 or 300 Hz. Again, the critical issue here is the mic you are using and your voice characteristics, so don’t hesitate to play with these settings until you are told it sounds good for the intended application. Have you any thoughts on how to get more or louder transmitted audio in AM mode? I’ve adjusted the TX bandwidth, equalization, ALC, carrier level and compression. I’ve got everything sounding good including AM however it’s just not loud enough. 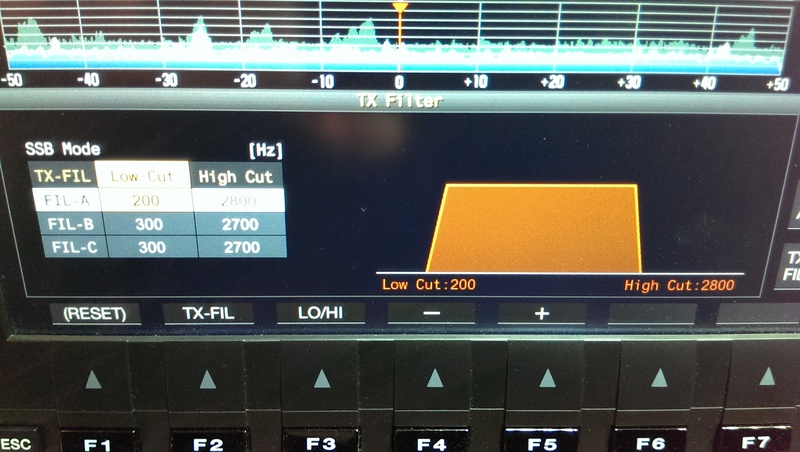 With my TS 870 all I do is disengage the TX EQUALIZER and my transmitted AM signal is beautiful. Seems I should be able to do the same with the 990. Any suggestions you might provide would be greatly appreciated. Bill, Everything is very helpful and the pictures of your station are great. I am interested in how you connected the ACOM & the 990 also. Email me if you can. Thanks. The Acom 1010 is connected to the 990S through the accessory port on the back of the radio. Please let me know if you need more info about this. You talked about setting up the audio, but what about the speach processor? The reason I asked is, I just looked at the manual and I could not find any place that it tells you what to set the compression level at. My950SDX and 850SAT both say 10 DB of compression. 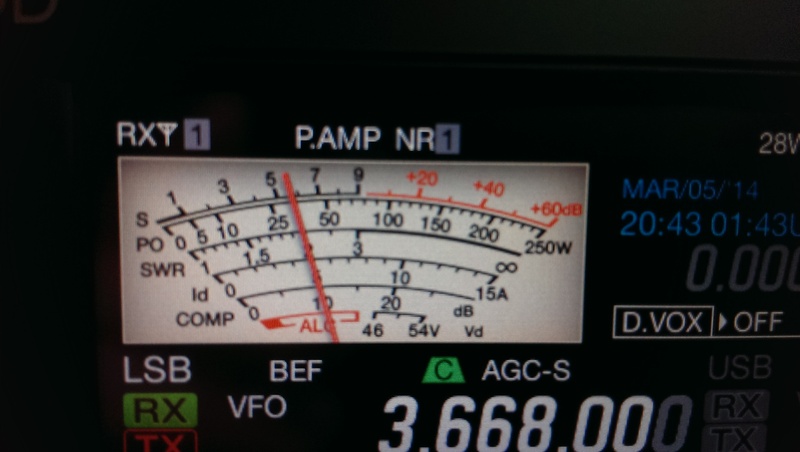 The analog meter on the 990S shows compression level in DB’s but the needle shows 20 DB. That can’t be right? On different pages throughout the manual it shows 20 DB so I am guessing it’s a, “one picture do all” in the manual? My new TS-990 has arrived just last week. You have given a very good description about the audio settings. You have recommended 60% level of the speech processor – in this setting, “Proc in” is how much and “proc out” is how much ? Thanks Bill for a great bit of audio guidance. I spend the majority of my time in the shack listening and decoding, but I always like to set things up so that I can reply without too much twiddling. The 990 is the finest rig I have ever owned and the choices offered in every department are legion and having a starting point, such as your article offers, helps no end. I find that the manual is, to say the least, vague (I think it’s just the translation) but I would like to get to grips with the use of the receive only antenna in/out sockets. So, I trawl the internet searching for some “plain English” guidance. I have an electrovoice re-320 and an ART tube MP preamp that I would like to use w/ my ts-990. With the stream being MIC>xlr balanced ->ART MP > xlr unbalanced -> ACC2 plug of ts-990. I have a XLR to 1/4″ TS cable. I’m planning on unsoldering the 1/4 plug and connecting the tip wire to pin 11 ( audio in )on ACC2 and the shield wire to pin 12 (ground). Does that sound correct to you? How do you have your mic connected? 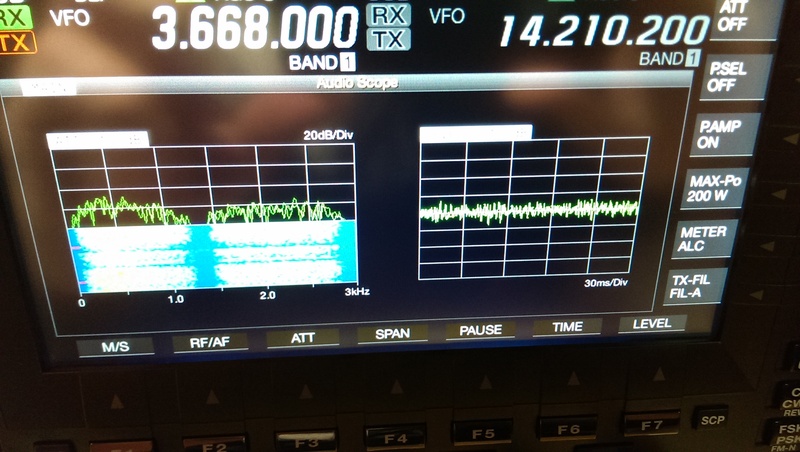 I am Jorge, EA9LZ, I have rare problem, when I tx with foot ptt the audio it’s really great, but when I am with vox….. sounds like a Echo and audio it’s also different. I have the Heil sound microphone, specially for the contest. can you send me a configuration?